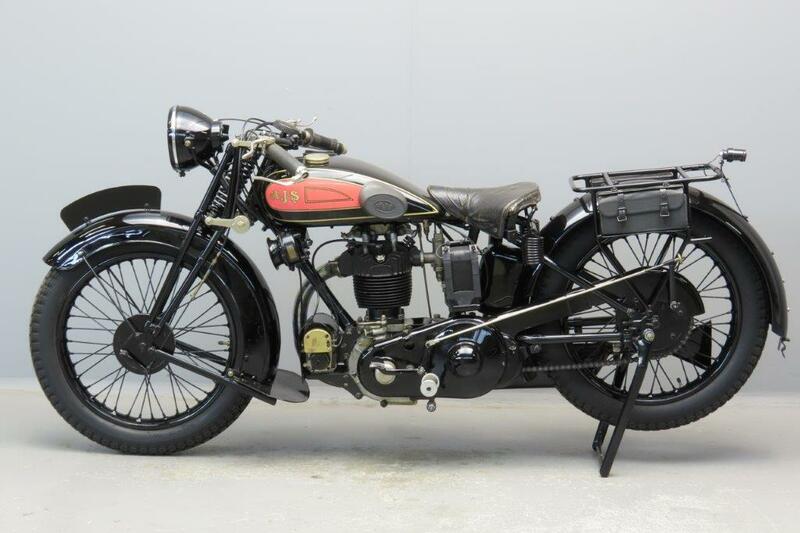 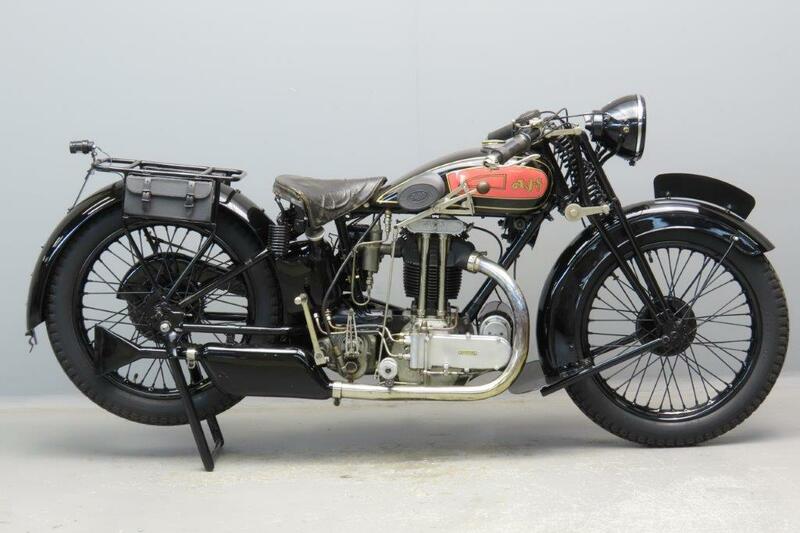 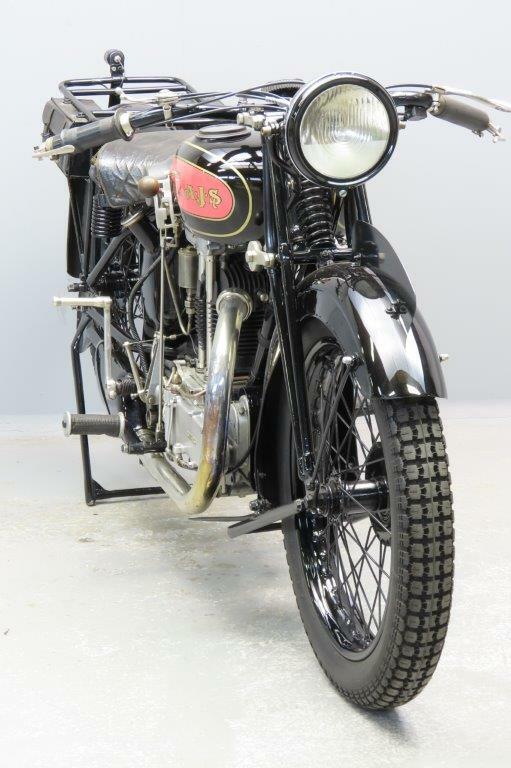 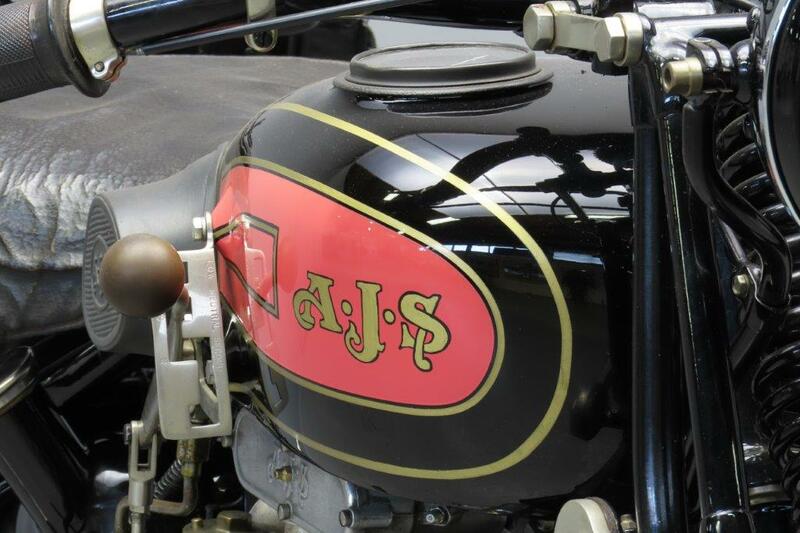 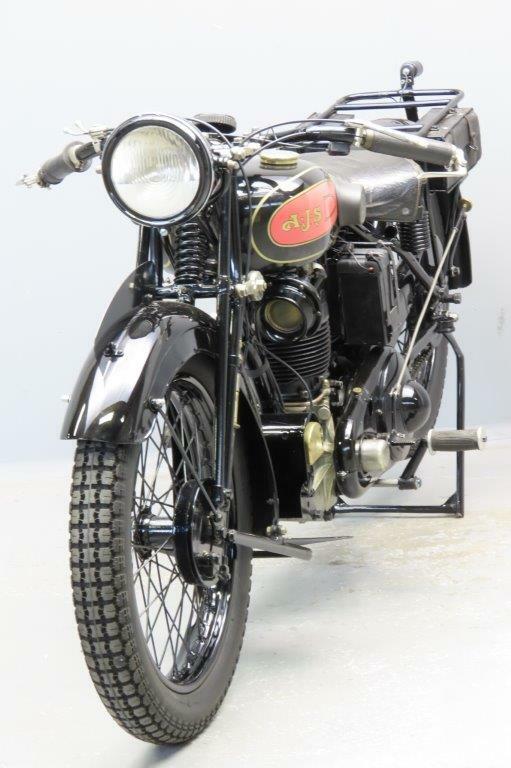 The 1929 AJS model range boasted no less than 20 improvements. Some seemed trifle, like the rear carrier of different design and the improved front stand fixing. 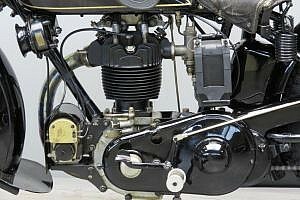 Others were real improvements, such as the redesigned frame that resulted in a lower saddle height, graceful saddle tank with built in speedometer, separate oil tank, enclosed valve mechanism and more powerful front brake. 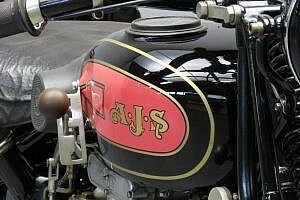 Last but not least, to please the eye, the previously all-black petrol tank had acquired brightly colored magenta side panels. The range spanned from the 9.96 HP twin passenger combo (M1) to the 2.48 HP lightweight (M12); AJS started numbering with the highest capacity models, which was rather unusual with model numbering systems at the time. This well-restored sportsman’s mount is fitted with Amal carburetor, original Terry saddle and Bosch electrics. 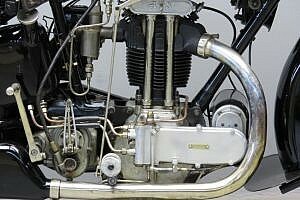 It was sold new in the German city of Dresden and German AJS customers could choose between Lucas an Bosch installations. 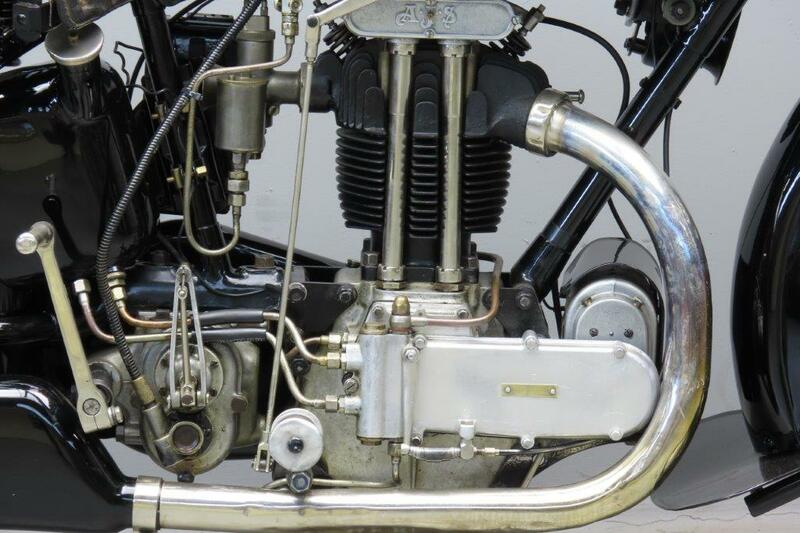 Many, if not all, chose for the outstanding Bosch magdyno and lighting system.